To mirror the last post- good evening! Now, that’s the height of an exciting life-style eh? I am trying extremely hard not to complain as I know there are thousands of women out there who would desperately love the security of feeling pregnancy symptoms. 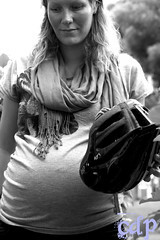 And therein lies the “Elephant in the Room” (what a cringeworthy phrase)- the possible problems with pregnancy. Each conversation about the future has to start with the caveat “Providing all goes well…”. Each thought about our plans for the next 8 months has to come with a level headed attitude towards the realistic (if small) possibility that something can go wrong, and it’s important to be well informed. One of the first things we did at almost-5-weeks-pregnant was to Buy A Book. I got lost in Waterstones Pregnancy department and the husband found me surrounded by books. We struck off any that “didn’t have pictures” or were “to hippy” and I ende dup left with “Zita Wests “Your Pregnancy Companion”. I’m not 100% sure if it was actually the *best* book I could buy- I bought it in a bit of a panic, filled with worry that we’d see someone we knew in the book shop and they’d find out our secret. It makes a worryingly large number of references to homeopathy– but I suppose if there’s any time a person might turn to alternative medicine, it will likely be when they’re unable to take conventional drugs due to the risks to the foetus. It’s still absolute bunk, but I can skip those bits. Obviously there’s lots of reference to health and yoga and some meditation which I can handle! 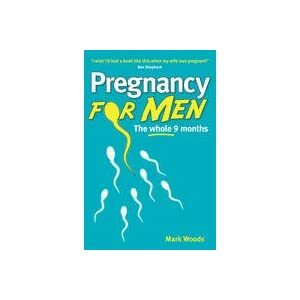 To ensure the husband didn’t feel left out, we bought him Pregnancy for Men: The whole 9 months. Now *this* is a book! It’s hillarious, silly, serious, informative and totally readable. Once I’d skim read all 380 pages (yes really) of my slightly boring and clinical tome, I nicked this one from him. It’s a very good read, and I’d recommend all dads-to-be to get hold of a copy (if not just so that the mums-to-be can read it too!). We now feel pretty clued up on at least the first trimester and know what we can possibly expect- the good the bad and the ugly.